Hello from the other side! 2016 has been off to a crazy busy start so I’ve been behind on blogging but excited to share some new recipes and restaurant reviews with you all! With the Super Bowl happening this afternoon I figured it was a perfect time to share a recipe to make to spice up your game day snack spread. I’m not going to lie, I could really care less about the game and pretty much show up to a super bowl party purely for the guacamole and commercials. Anyone else with me on that? 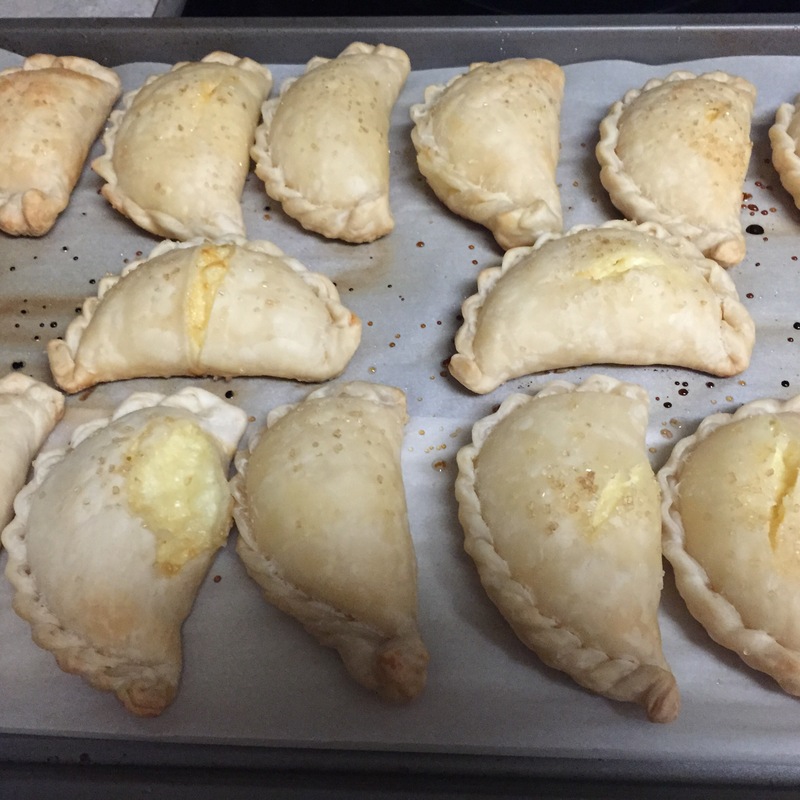 If you are looking for something new to add to the table, these four cheese empanadas hit the spot! 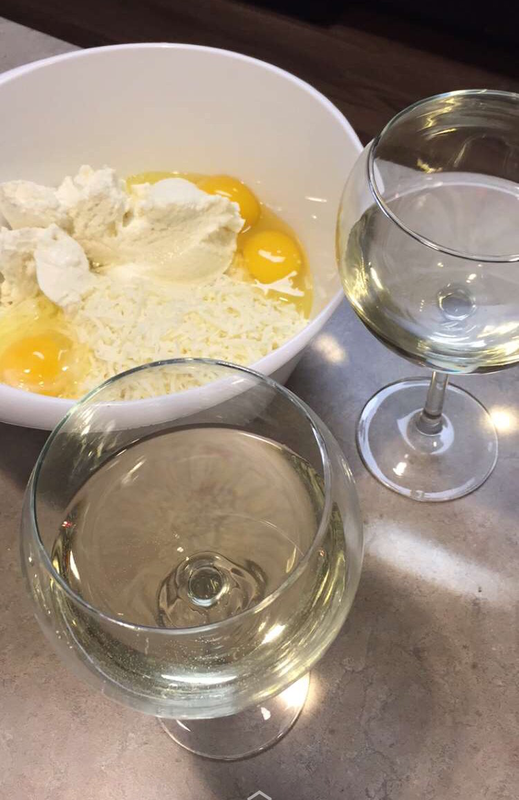 My dear friend Zoe has become quite the empanada expert and taught me her empanada secrets over a girls cooking and wine date last night. Hope you enjoy as much as we do! 2 boxes refrigerated Empanada tapas- Goya is the best. Can be found in speciality markets or Mexican grocery stores. Fiesta in Houston sells them if you’re nearby. 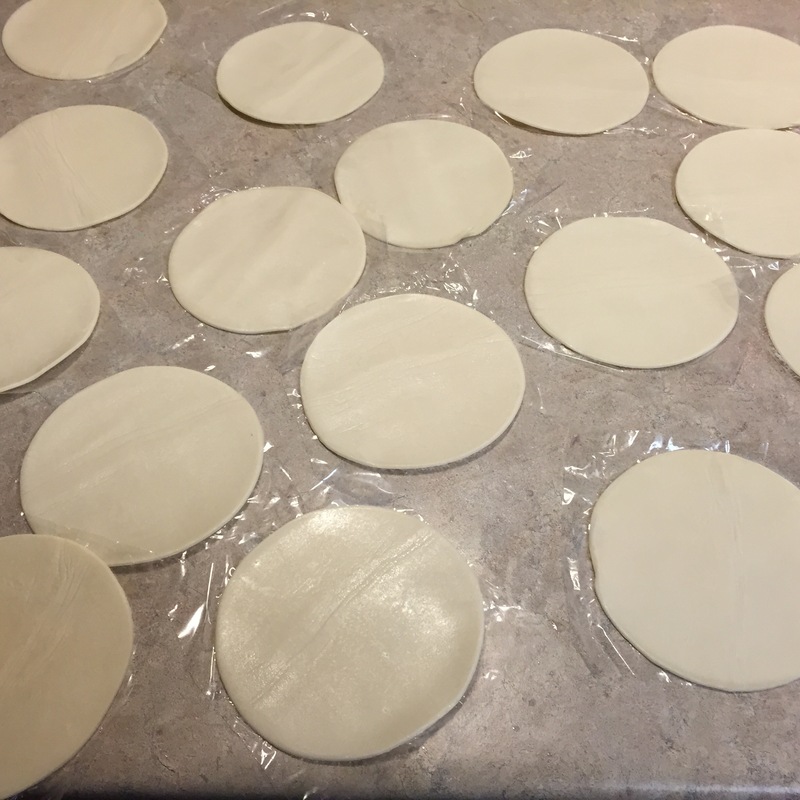 Remove the empanadas one by one and keep each on the circular saran wrap to help assemble. 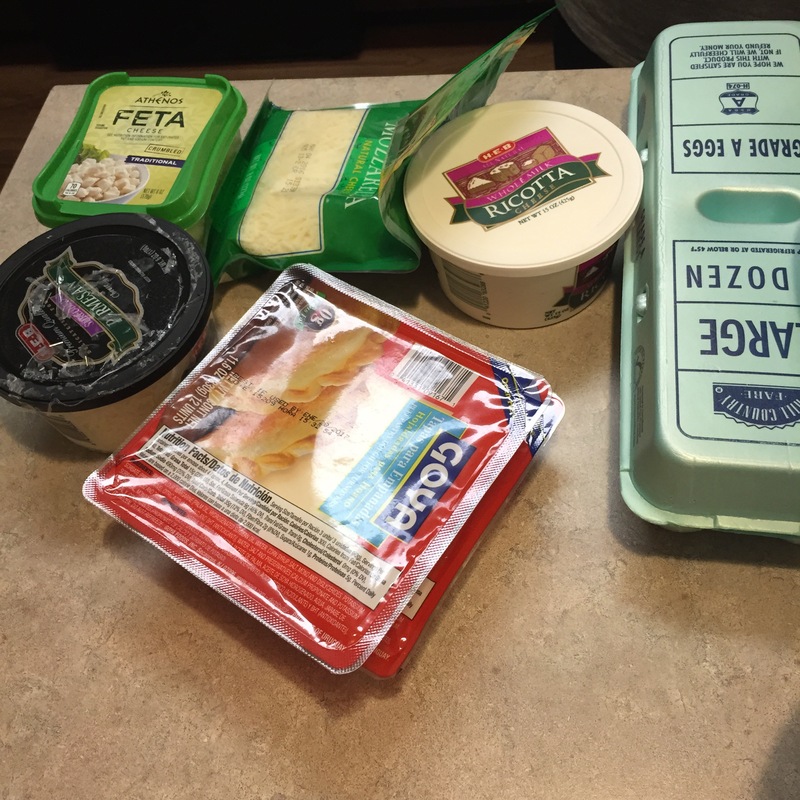 Next scoop a dollop of the cheese mix into the center of each tapas. This was a generous scoop, you just want to make sure it doesn’t explode! Next lightly dab water around the edge of half of the tapa to help it stick as you carefully fold over in half. Once folded pinch the corner to create a point. Fold over the point and pinch again creating another point . 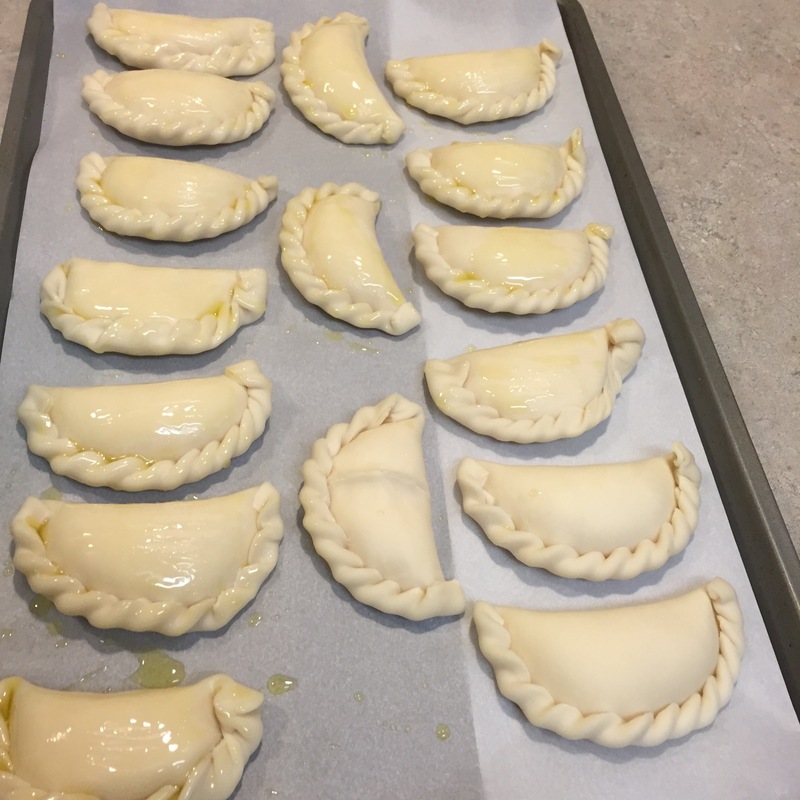 Repeat the process until the empanada is fully closed and looks like these beauties. 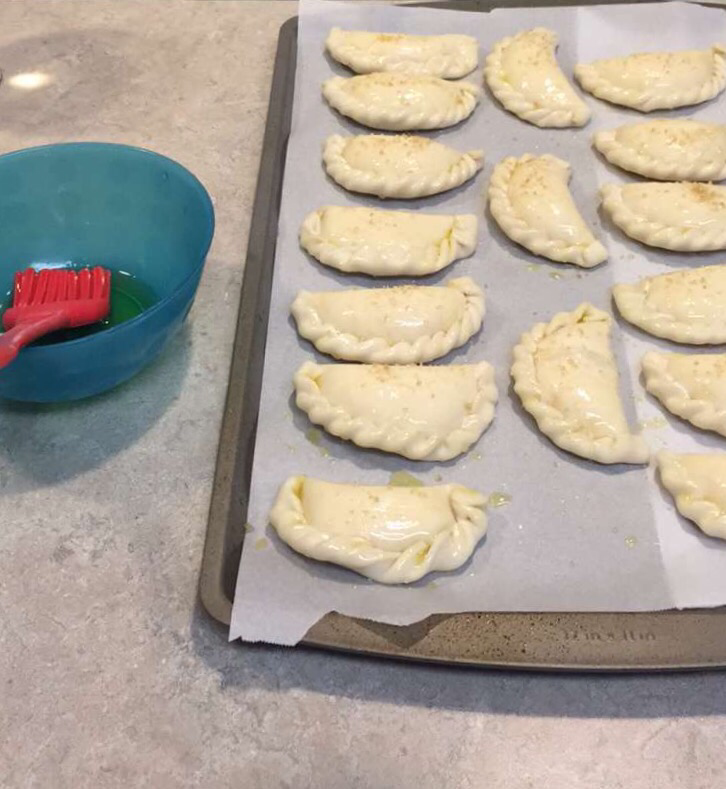 Next brush each empanada with olive oil and sprinkle with sugar to add a touch of sweetness (optional but YOLO). 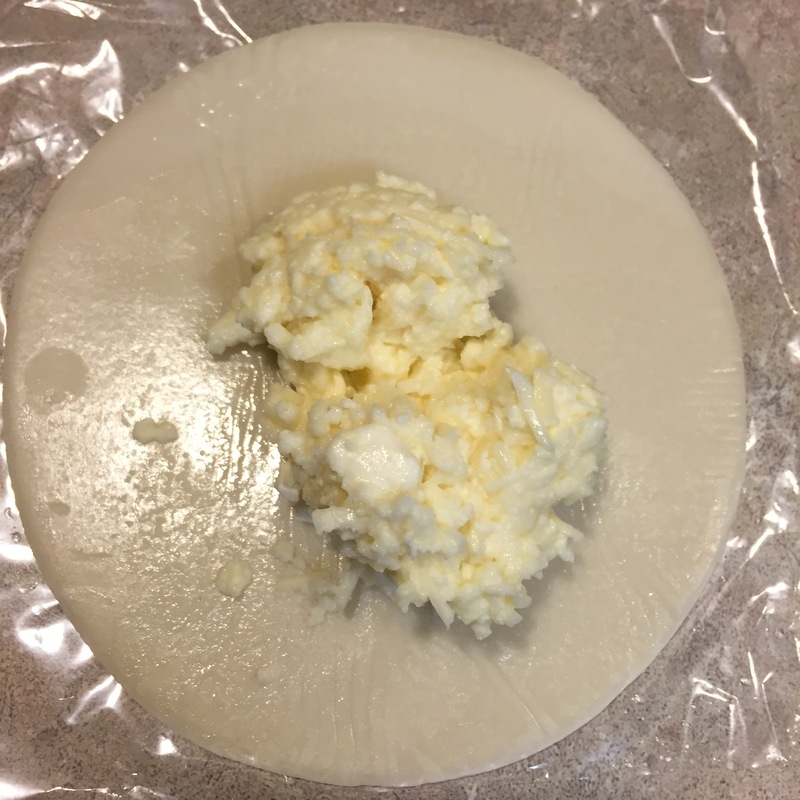 Put the empanadas on a lined tray with waxed paper and bake for around 20-25 minutes. You want them to be lightly golden. Let cool until you can’t wait any longer and enjoy! 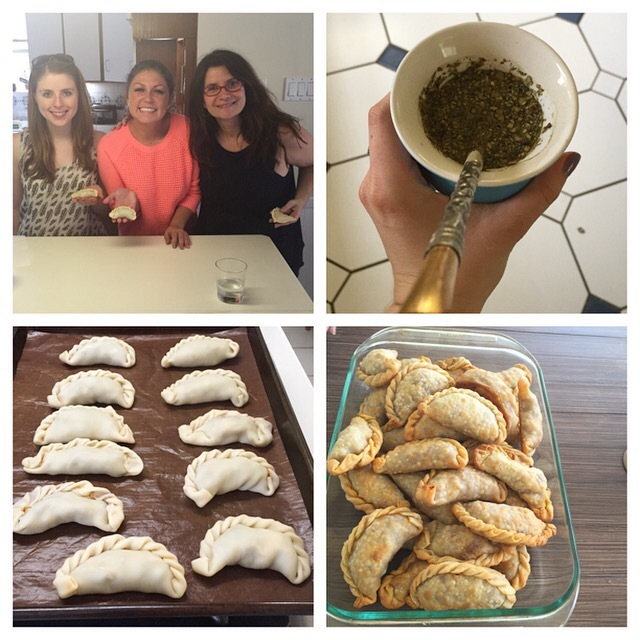 Flash back to our first empanada date with the real empanada expert, Cynthia! She’s been making empanadas for over 25 years. We made delicious meat ones that time and of course enjoyed over mate. Happy cooking and super bowl snacking!